APA strives to be the preeminent authority on innovative planning that rises to today’s challenges and meets emerging needs with energy and resolve. We see planning as the best way of using public resources to create vital communities. APA and its members are leading the way toward a stronger economy, a better environment, and a more equitable society. 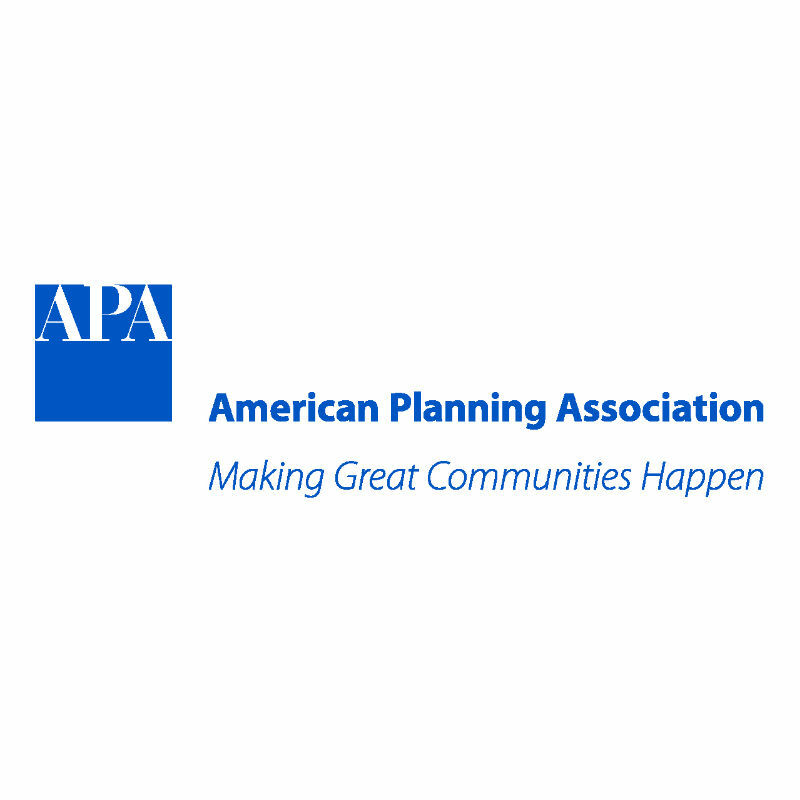 APA will LEAD the planning movement. APA will COMMUNICATE AND ENGAGE to foster quality leadership and participation and to provide the best planning information. APA will PARTNER to leverage resources and build coalitions. APA will ADVOCATE for planning, planning leaders and good government. APA will INSPIRE building great communities. APA will SERVE its members.